I haven’t done a lot of family travel adventures in the last few years. 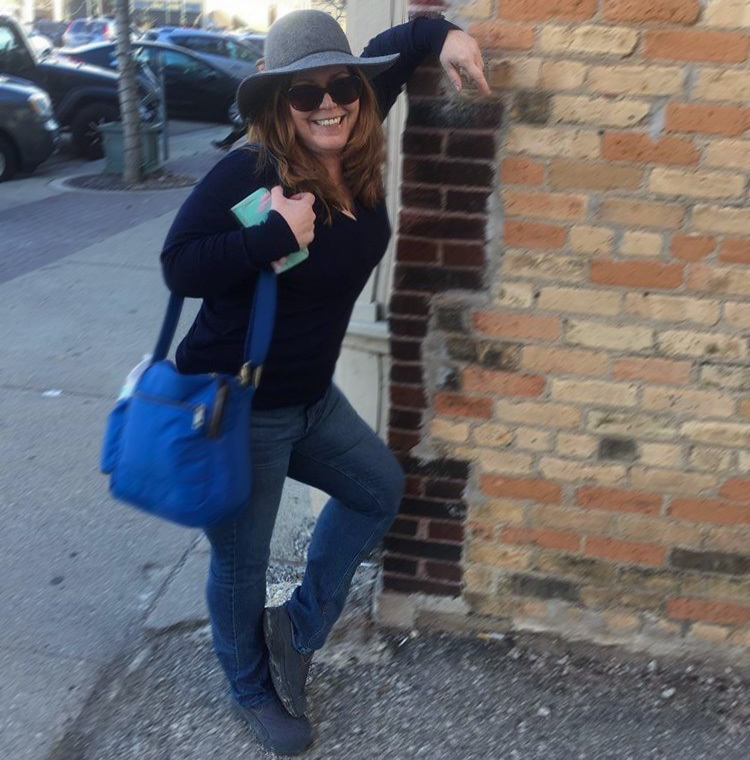 My job as the Midwest Travel Guide forAbout.com has dictated that I find I way to do this. Fortunately, I have some friends with young kid, and it’s always fun when you have little ones involved. One trip I had recently was double the excitement with my friend Cortney and her five year old twins. 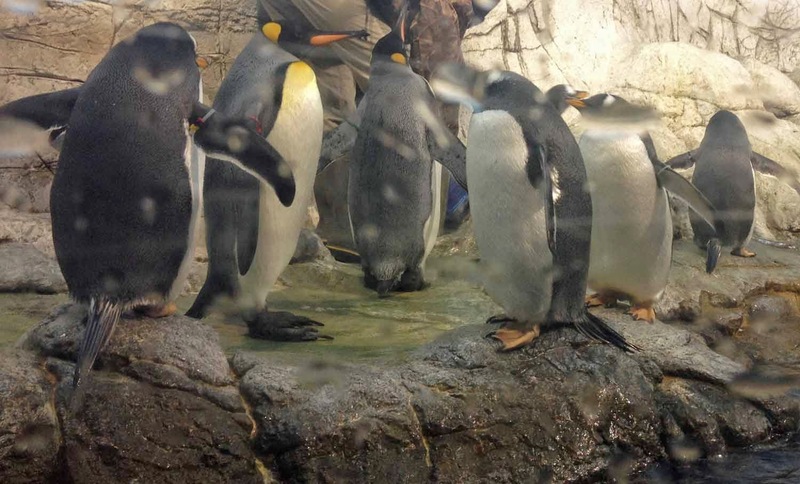 They helped me check some very unique hotel rooms as well as one of the best zoos in the nation. 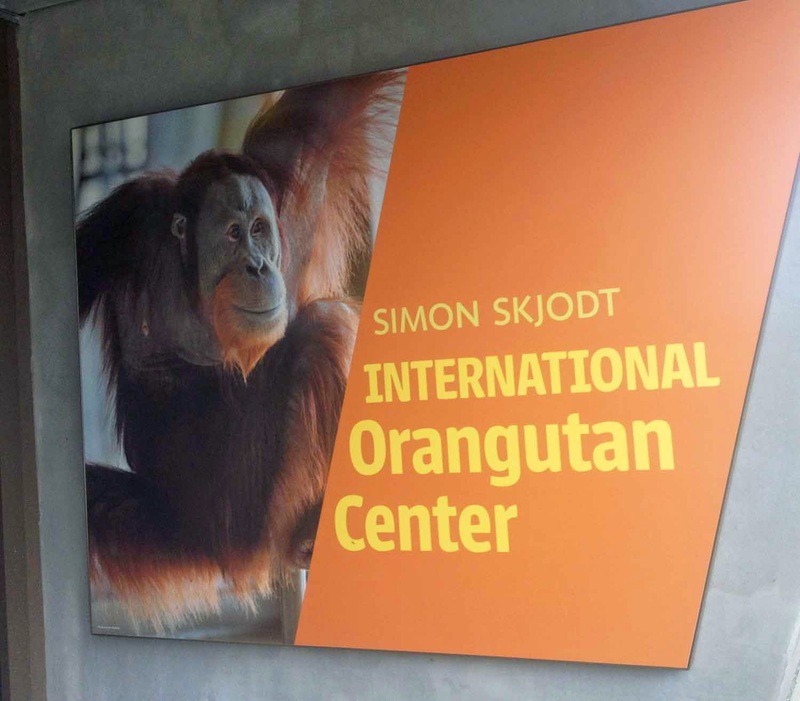 The biggest and most exciting addition at the Indianapolis Zoo is the Simon Skjodt International Orangutan Center. Unfortunately, the Skyway was not open the day we were there, but we did get to experience the rest of this new section. Eight orangutans call this center home and you can watch them as their trainers and teachers show you more about the intellectual abilities of these fascinating apes. 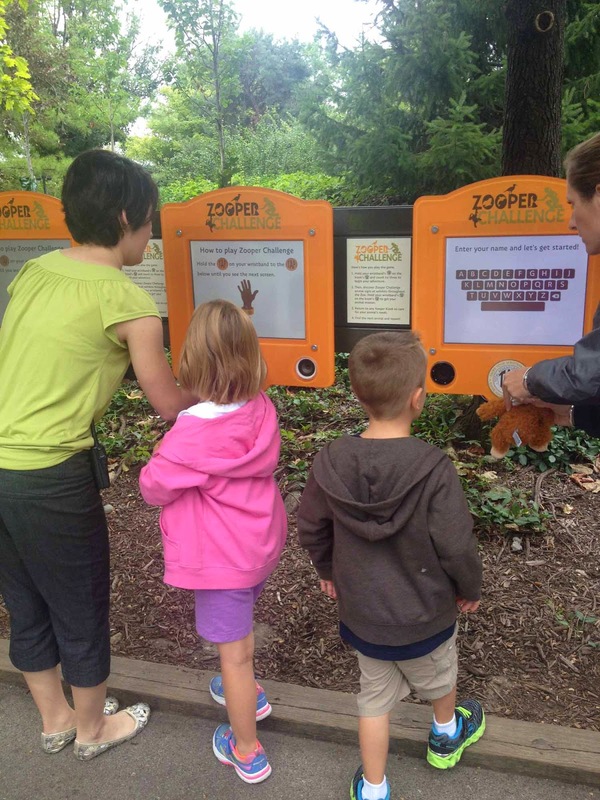 The center was established to expose zoo attendees to them, but it is also taking on the project of learning more about them in the hope that some of the research will keep these endangered species from extinction. 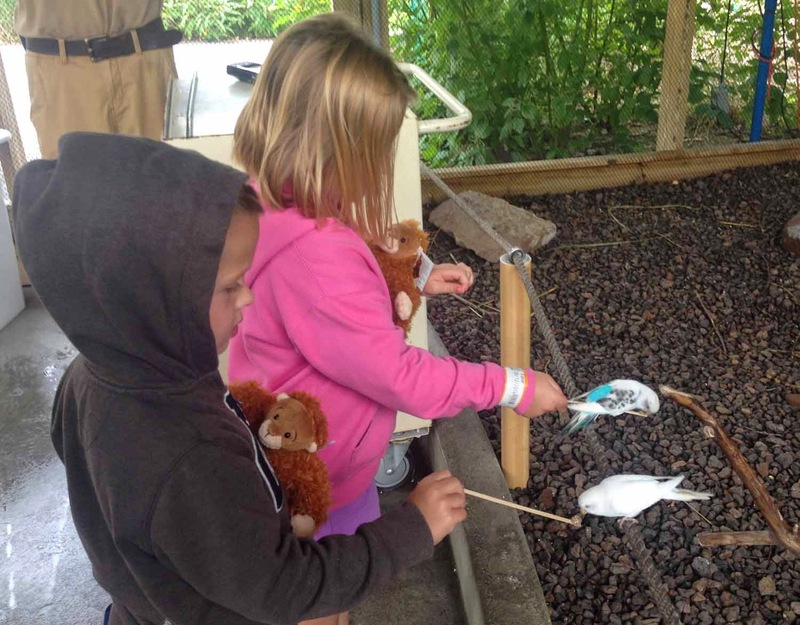 The kids especially enjoyed the opportunities the zoo has to interact, including the Shark Touch Pool – the nation’s largest -- and the Flights of Fancy bird exhibition. 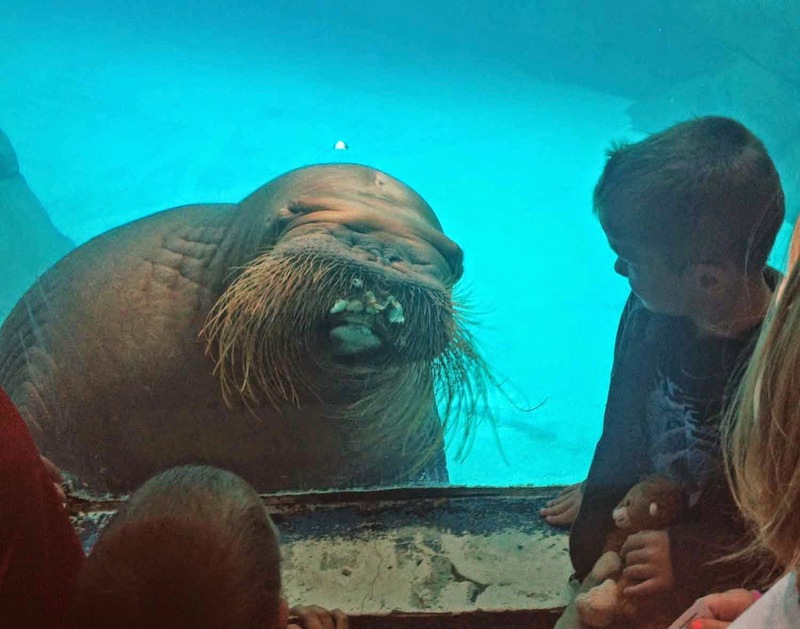 Even though we couldn’t actually touch them, we all had fun watching the walrus, penguins, and seals swimming in their tank. 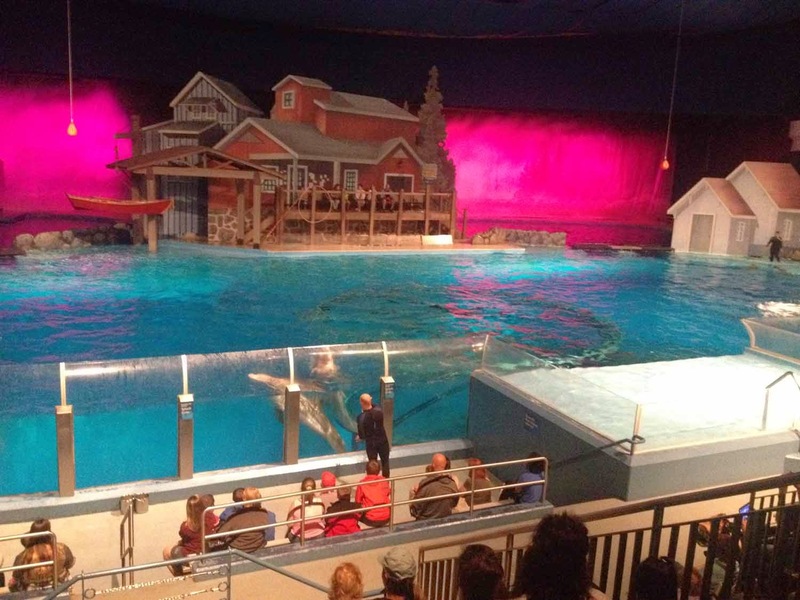 We didn’t have to look through glass to see the show at the Dolphin Theater. It was a great show. 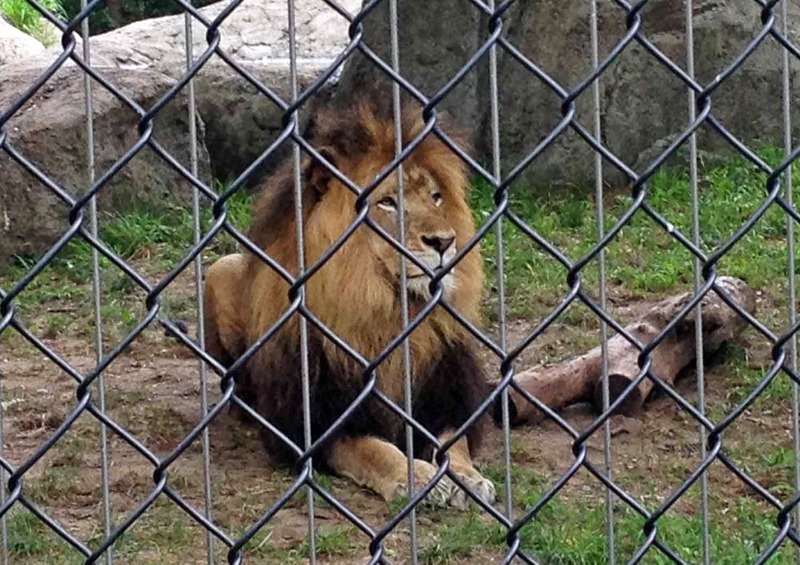 I am a cat lover so I couldn’t wait to see the lions, tigers, and cheetah. 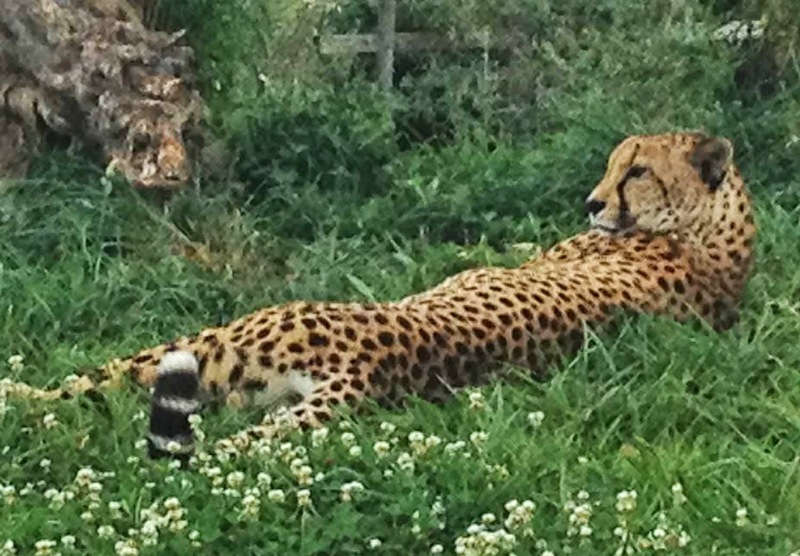 We got to see them in their habitat during the train ride through the Plains. Then we walked back to get a closer look. We spent quite a bit of time with the brown bears, who decided to put on a show for us. They were being playful and seemed to love the attention they were receiving. 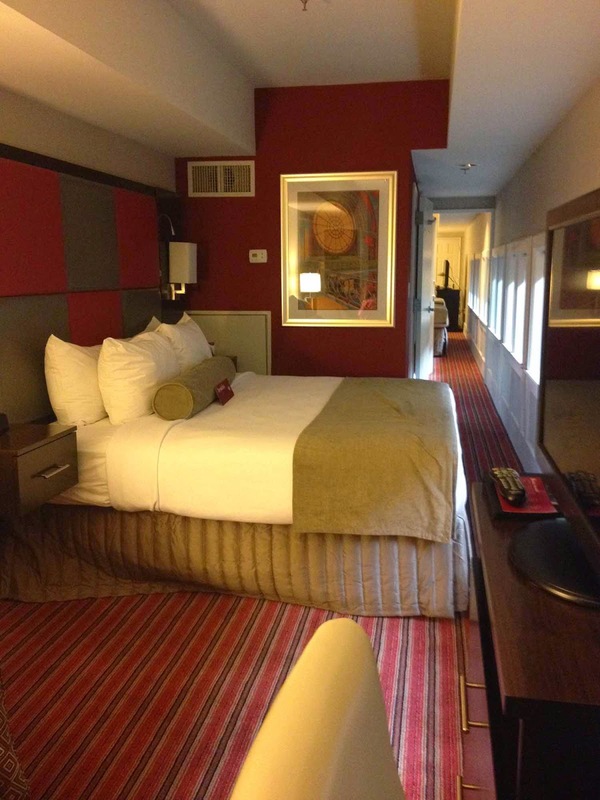 After the zoo we checked into the Crowne Plaza UnionStation. I had told the kids we were staying in a train room, but I don’t think any of us were prepared for just how unique this experience was. 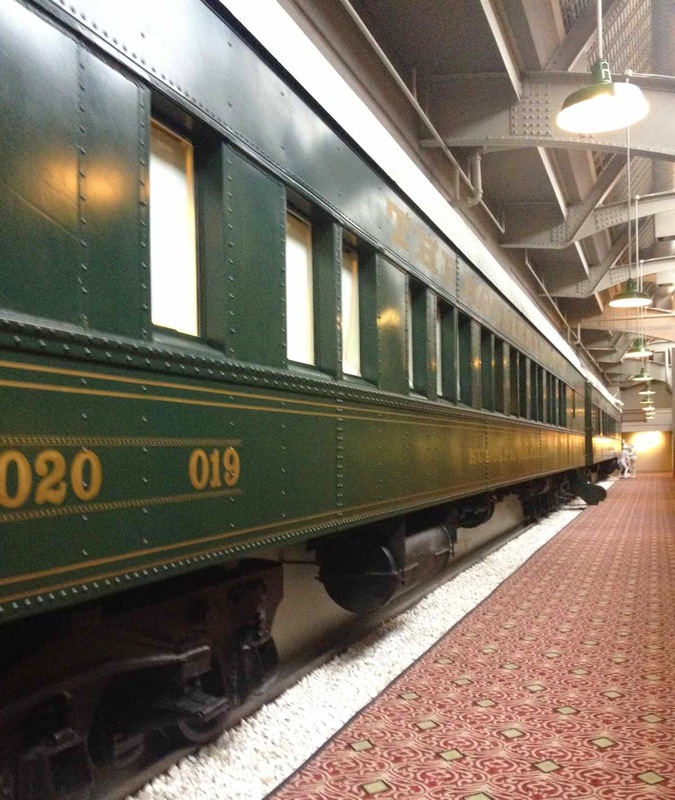 The Crowne Plaza Downtown Indianapolis has 26 Pullman train cars converted into hotel rooms. They’ve done a spectacular job and the insides were even bigger than I thought they would be. We had two connecting rooms and the twins were wide-eyed as they explored every inch of them. 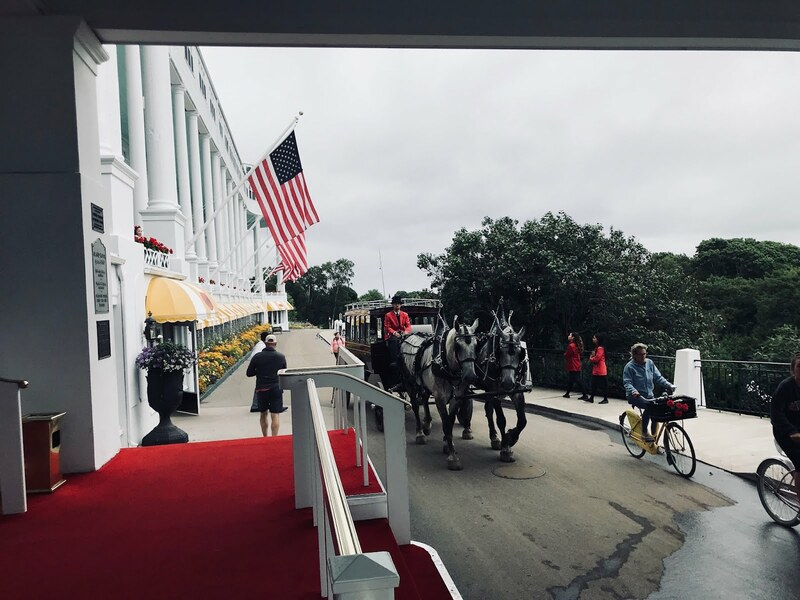 The only thing that stopped them from going back and forth was a special delivery from room service (available for purchase to anyone staying here) of milk, cookies, coloring books and M&Ms! We didn’t indulge too much in the sweets because we were off to dinner at the Indianapolis Colts Grille. It is a very kid-friendly place and we collectively finished the Spinach Artichoke Dip and pita. 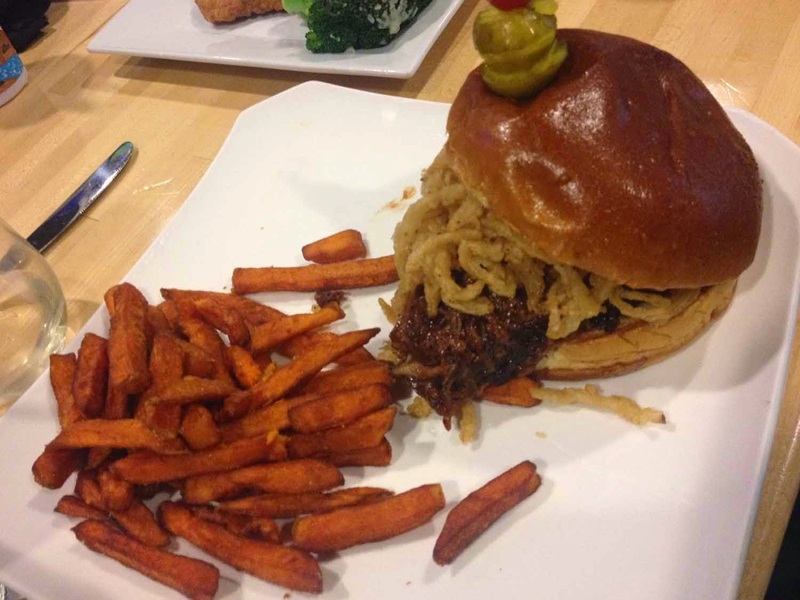 I also took a cue from Foursquare and ordered the Pulled Pork with onion straws. I was not disappointed. 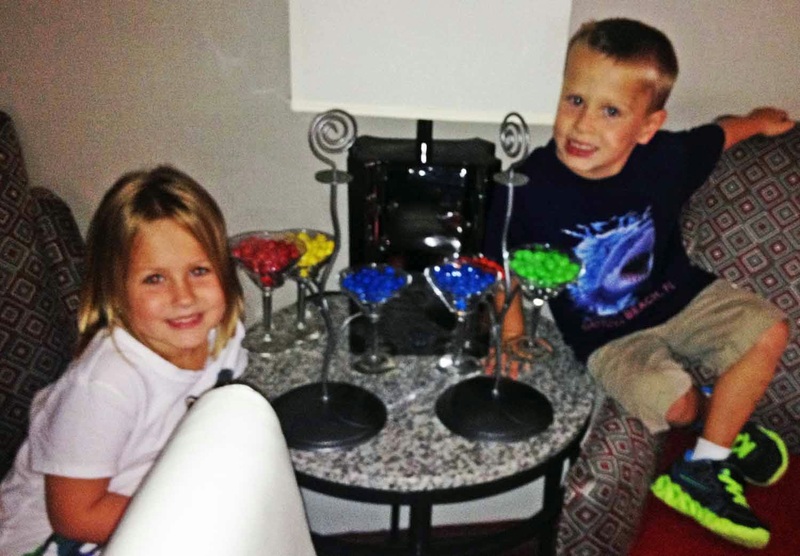 Back at the hotel, the kids had some cookies and milk while Cortney and I had our sweets with a wine she brought from her recent Utica trip. The kids went for a swim at the hotel’s indoor pool in the morning and explored the hotel. I think they were almost as excited going up and down the stairs of the train rooms as they were at the zoo. Before we left Indianapolis I got to have breakfast with one of my favorite public relations contacts in one of my favorite breakfast places. Morgan Greenlee, Senior Communications Manager at Visit Indy, met me for another delicious breakfast at Café Patachou. I love everything at this place, especially when it’s served with their fresh baked cinnamon toast.